While many students are currently receiving their admission decisions from colleges and universities, it has become hard to escape the growing press of the college admission scandal facing the nation. It was discovered in early March that celebrity parents, including actresses Lori Loughlin and Felicity Huffman, were accused of using fraudulent strategies to get their children into college. This included false SAT scores, photo-shopping athletic photos, and bribing schools with money. After this discovery, many other fraudulent admissions have come out of the woodwork, creating a national debate about the validity of college decisions, and if wealth equates to getting into a top choice school. Upon hearing about this incident, I was frustrated; as a junior in high school who is working to prepare for college, it was hard to hear that individuals of celebrity status got automatic admission without having put in the work. Realizing how relevant this scandal is to my age group, I set out to ask students from varying grades what their perspective is on the incident. 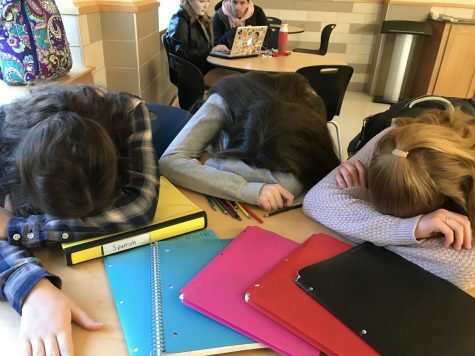 It is no surprise that these juniors feel this way about the situation; when they see that some students are able to gain automatic admission without putting in the same preparation that they do, it causes immediate annoyance. It can be simply described as unfair. In fact, the word “unfair” was used in almost every response from FHS students. Another element of this scandal, is the response of the children after having found out that their parents cheated to get them into their choice schools. It is hard to know if they would feel upset and guilty, or rather happy that their parents care so much to do something to this extent. Political Cartoon, “Admissions Scandal” by Signe Wilkinson. Would you be upset if your parents cheated to get you into college and did not tell you? When a random selection of juniors were polled, 75% of students said that they would be upset or feel guilty if their parents cheated their kids into college. 25% of students say that they would not be upset, and would feel happy that their parents cheated to get them into a high quality university. As a result of the scandal, some colleges and universities are proposing new laws that would prevent any other individuals from pursuing similar attempts. In California, lawmakers are proposing to have a process that would more thoroughly look at applications for California state schools. This would include having the student display that they are able to perform the sport they say they can, study the SAT/ACT scores of students in a more rigorous process, and make a conclusion as to which parts of the admission process require more attention. Most significantly, private and public schools in California would not guarantee preference to students who are the descendants of alumni or donors (CNN). This would be a huge step in the area of college admissions for California. Though there may be debate around the subject, one fact holds true; students who have worked hard for their college applications feel frustrated and upset that students of wealth and fame have gained automatic admission because of the fraudulent efforts of their parents.